According to the newest report by the National Audit Office (NAO), the UK Home Office has failed to effectively execute its flagship campaign against slavery in Britain. The NAO report highlights that the police forces suffer from insufficient resources to monitor the progress of Theresa May's signature anti-slavery strategy, identify victims and punish the perpetrators. "Until the government is able to establish effective oversight of the modern slavery system as a whole, it will not be able to significantly reduce the prevalence of modern slavery or show that it is achieving value for money," the Office's statement urged. Human-Trafficking Specialist on Rise of Slavery in UK: "Product of System's Inadequacy"
In a public statement, NAO Director Amyas Morse said that the "government will need to build much stronger information and understanding of perpetrators and victims than it has now" in order to "combat modern slavery successfully,"
The report also blasted the "very low" rates of successful prosecution for slavery, forced labor, servitude and human trafficking. In 2016, there were only 80 convictions for some 155 modern slavery offenses, according to the NOA's statistics. In stark contrast to the low prosecution figures, it is estimated that there are currently from 10,000 to 13,000 victims of slavery in Britain. In 2015, the UK Government seemingly acknowledged the scale of the problem by introducing a dedicated Modern Slavery Act that laid down the current provisions for identification and response to modern slavery incidents. However, the October review conducted by Her Majesty's Inspectorate of Constabulary and Fire & Rescue Services (HMICFRS) found "significant failings" in the new system, establishing that effective anti-slavery operations were the exception rather than the rule. This coupled with the NAO's report prompted Shadow Home Secretary Diane Abbott to blast the Conservative Government's failure, accusing it of not grasping "a true picture of the scale of the problem, or the perpetrators or the victims." "The NAO also takes the Home Office to task for failing to get a grip on the effectiveness of its spending, or even how much money is being spent overall," she said, the Guardian reports. Abbott also criticized the Tories' austerity programs which have slashed police forces across England and Wales by some 22,000 officers, pointing out that the "overstretched police forces also have highly uneven responses to cases of modern slavery." "Theresa May's warm words about modern slavery are not enough. The government needs to take strong, coordinated action based on firm evidence," the Labour MP said. 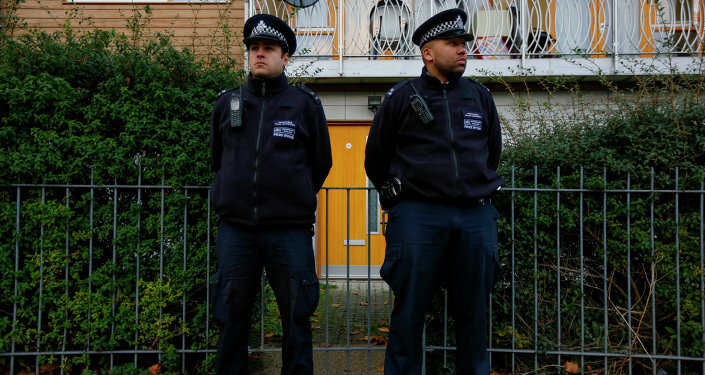 British law enforcement agencies also suffered staggering 18 percent budget cuts during Theresa May's tenure as the British Home Secretary, effectively crippling their ability to tackle modern slavery, as evidenced by the NAO report.